I’ve previously written about Parvaneh Moayedi, and laid out the irrefutable evidence that she did not complete many of the marathons that she claims. As many of half of her claimed races are part of the I Ran Marathons races. Parvaneh puts on these races. I have received numerous emails from runners of these races stating that Parvaneh appeared in the results without having run. She appeared in results of I Ran Marathon races while she was in Katmandu for the Tensing Hilary Everest Marathon. In this article, Parvaneh claims that a substitute race director ‘made a mistake’. I would ask how do you mistakenly add a runner to race results and give them a time for a race they did not run? I will go out on a limb, and say that adding her to results is common place, and the mistake was not taking into account that her travel was being documented and that it could be proved that she was not in San Antonio for those races. Comments by those that witnessed her at I Ran Marathons and similar races. Since she is in total control of the I Ran Marathon results, it is impossible to validate these statements. But these statements all came from interviews I did with the runners or unsolicited emails. 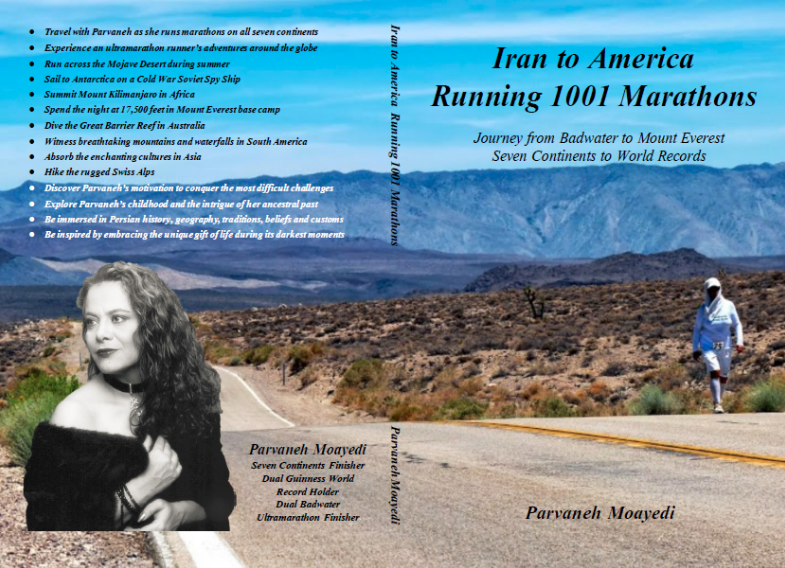 Parvaneh has written a book about her “accomplishment”. I won’t post the link, but it is available on lulu. Guinness has been presented with all the evidence, and has refused to take action to this point regarding Parvaneh’s two Guinness records. Prior to publishing this article, I have emailed their press office for comment. As of publication of this article, they have not responded. I will update this if they do decide to issue a statement. This is just such a strange story… I can't conceive of the thought process that would lead to this sort of cheating. So what can we do to help with getting Guinness to correct this erroneous acclaim? Is there a contact address or phone number that we should call? The problem is that the Guinness publishers crossed a line perhaps 15 years ago with their publication. It went from being something that was reasonably well verified to being more open for self submission and verification. There are a lot more categories now in the Guinness Book of World Records that are superfluous for instance. Things like fastest marathon while skipping, dressed as a clown, et cetera. I don't even bother looking at the Book of World Records anymore because it is full of so much junk now.